It’s the war from Hell, the savage one that Saudi Arabia and the United Arab Emirates, along with seven other Middle East and North African states, have been waging in Yemen since March 2015, with fulsome support from the Pentagon and American weapons galore. It’s got everything. Dead children in the dozens, a never-ending air campaign that pays scant heed to civilians, famine, cholera, you name it. No wonder it’s facing mounting criticism in Congress and from human rights groups. Still, ever since Pres. Donald Trump — like Barack Obama before him — embraced the Saudi-led coalition as this country’s righteous knight errant in the Middle East, the fight against impoverished Yemen’s Houthi rebels — who have, in turn, been typecast as Iran’s cats-paw — has only grown fiercer. Meanwhile, the Al-Qaeda affiliate there continues to expand. 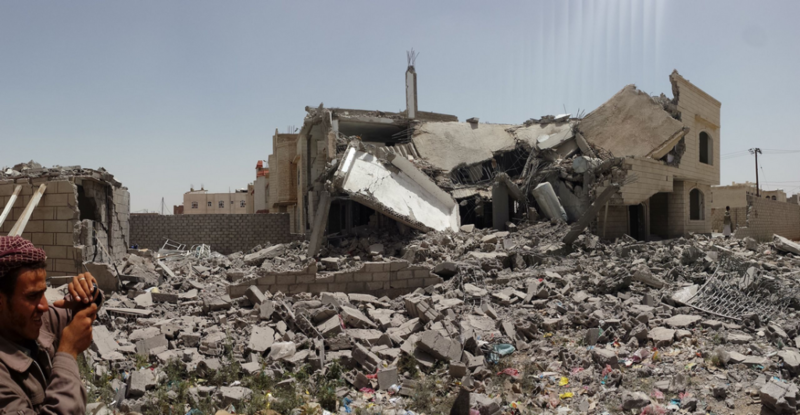 For years now, a relentless Saudi air campaign that’s quite literally fueled by the U.S. military has hit endless civilian targets, using American smart bombs and missiles, without a peep of protest or complaint from Washington. Only a highly publicized, completely over-the-top slaughter recently forced the Pentagon to finally do a little mild finger wagging. On Aug. 7, 2018, an air strike hit a school bus — with a laser-guided bomb made by Lockheed Martin — in northern Yemen, killing 51 people, 40 of them schoolchildren. Seventy-nine others were wounded, including 56 children. Soon after, a U.N. Security Council-appointed group of experts issued a report detailing numerous other egregious attacks on Yemeni civilians, including people attending weddings and funerals. Perhaps the worst among them killed 137 people and wounded 695 others at a funeral in Sana’a, Yemen’s capital, in April 2018. Considering that they haven’t come close to meeting such a standard since the war started nearly five years ago and that the Trump administration clearly has no intention of reducing its support for the Saudis or their war, Mattis’s new yardstick amounted to a cruel joke — at the expense of Yemeni civilians. Some appalling numbers document the anguish Yemenis have endured. Saudi and Emirati warplanes officially have killed — and it’s considered a conservative estimate — 6,475 civilians and wounded more than 10,000 others since 2015. Targets struck have included farms, homes, marketplaces, hospitals, schools, and mosques, as well as ancient historic sites in Sana’a. And such incidents haven’t been one-off attacks. They have happened repeatedly. By April 2018, the Saudi-led coalition had conducted 17,243 airstrikes across Yemen, hitting 386 farms, 212 schools, 183 markets and 44 mosques. Such statistics make laughable the repeated claims of the Saudis and their allies that such “incidents” should be chalked up to understandable errors and that they take every reasonable precaution to protect innocents. Statistics compiled by the independent Yemen Data Project make it clear that the Gulf monarchs don’t lie awake at night lamenting the deaths of Yemeni civilians. Saudi Arabia and its partners have accused the Houthis, the rebels with whom they have been in such a deadly struggle, of also attacking Yemeni civilians, a charge Human Rights Watch has validated. Yet such a they-do-it-too defense hardly excuses the relentless bombing of non-military sites by a coalition that has overwhelming superiority in firepower. Houthi crimes pale by comparison. And when it comes to the destruction of civilian lives and livelihoods, believe it or not, that may be the least of it. Take the naval blockade of the country by Saudi Arabia and the United Arab Emirates that cut the number of ships docking in the Houthi-controlled port of Hodeida from 129 between January and August 2014 to 21 in the same months of 2017. The result is far less food and medicine entered the country, creating a disaster for Yemenis. In December 2017, following a barrage of bad publicity, the Saudi-Emirati blockade was eased marginally, but it had already set in motion a spiral of death. The blockade also contributed to a cholera epidemic, which the shortage of medicines only exacerbated. According to a World Health Organization report, between April 2017 and July 2018, there were more than 1.1 million cholera cases there. At least 2,310 people died from the disease, most of them children. It is believed to be the worst cholera outbreak since statistics began to be compiled in 1949. At 800,000 cases between 2010 and 2017, Haiti held the previous record, one that the Yemenis surpassed within half a year of the first cases appearing. The prime contributors to the epidemic: drinking water contaminated by rotting garbage uncollected because of the war, devastated sewage systems and water filtration plants that stopped running due to lack of fuel — all the result of the horrendous bombing campaign. Wartime economic blockades starve and sicken civilians and soldiers alike and so amount to a war crime. The Saudi-Emirati claim that the blockade’s sole purpose is to stanch the flow of Iranian arms to the Houthis is nonsense, nor can it be considered a legitimate act of self-defense, even though it was instituted after the Houthis fired ballistic missiles at the airport in the Saudi capital and the residence of that country’s monarch. Both were shot down by Saudi air defenses and were clear responses to coalition airstrikes on Houthi-held territory that killed 136 civilians. By the standards of international humanitarian law or simply common sense, choking off Yemen’s imports was a disproportionate response, and clairvoyance wasn’t required to foresee the calamitous consequences to follow. True to form, Trump’s U.N. ambassador Nikki Haley echoed Saudi charges that the Houthi missiles were Iranian-supplied Qiam-1s and condemned that country’s interference in Yemen. Given the scale of destruction by a foreign coalition using armaments and technical assistance provided by the United States and Britain, her comments, in less grim circumstances, would have been laughable. Those American-supplied weapons have included cluster munitions, which pose a particular hazard to civilians because, when dropped from a plane, their devastating bomblets often disperse over enormous areas. Such bombs are banned under a 2008 treaty signed by 120 countries that neither Riyadh nor Washington has joined. In May 2016, the Obama White House confirmed that it had stopped sending such weapons to Saudi Arabia, which then continued to use Brazilian-made variants. However, other American arms have continued to flow to Saudi Arabia, while its warplanes rely on U.S. Air Force tankers for mid-air refueling — 88 million pounds of fuel as of this January according to a Central Command spokeswoman — while the Saudi military has received regular intelligence information and targeting advice from the Pentagon since the war began. And with the advent of Trump, such military involvement has only deepened. U.S. Special Operations forces are now on the Saudi-Yemen border, helping to find and attack Houthi redoubts. In June 2018, ignoring U.S. opposition, the Saudi coalition heightened the risk to Yemeni civilians yet more by launching an offensive to capture the port of Hodeida. So much for the Pentagon’s standard claim that supporting the war gives the U.S. influence over how it is waged and so limits civilian casualties. Saudi and Emirati airpower and warships supported Emirati and Sudanese troops on the ground joined by allied Yemeni militias. The advance, however, quickly stalled in the face of Houthi resistance, though only after at least 50,000 families had fled Hodeida and basic services for the remaining 350,000 were disrupted, creating fears of a new outbreak of cholera. Yemen’s progression to its present state of perdition began as the Arab Spring’s gales swept through the Middle East in 2011, uprooting or shaking regimes from Tunisia to Syria. Street demonstrations grew against Yemen’s strongman, Ali Abdullah Saleh, and only gathered strength as he attempted to quell them. In response, he allied ever more strongly with Saudi Arabia and the United States, alienating the Houthis, whose main bastion, the governate of Saada, abuts the Saudi border. Adherents of Zaydi Islam, the Houthis played a pivotal role in creating a political movement, Ansar Allah, in 1992 to assert the interests of their community against the country’s Sunni majority. In an effort to undercut them, the Saudis have long promoted radical Sunni religious leaders in Yemen’s north, while intermittently raiding Houthi territories. As a Houthi rebellion began, Saleh tried to make himself an even more indispensable ally of Washington in its post-9/11 anti-terrorist campaigns, notably against Al Qaeda in the Arabian Peninsula, a growing local franchise of Al Qaeda. For good measure, he joined the Saudis in painting the Houthis little more than tools of an Iran that Washington and Riyadh both loathed. When those powers nonetheless came to see the Yemeni autocrat as a political liability, they helped oust him and transfer power to his deputy, Abdu Rabbu Mansour Hadi. Such moves failed to calm the waters, as the country started to disintegrate and Saudi-U.S. efforts to consolidate the transition from Saleh to Hadi unraveled. 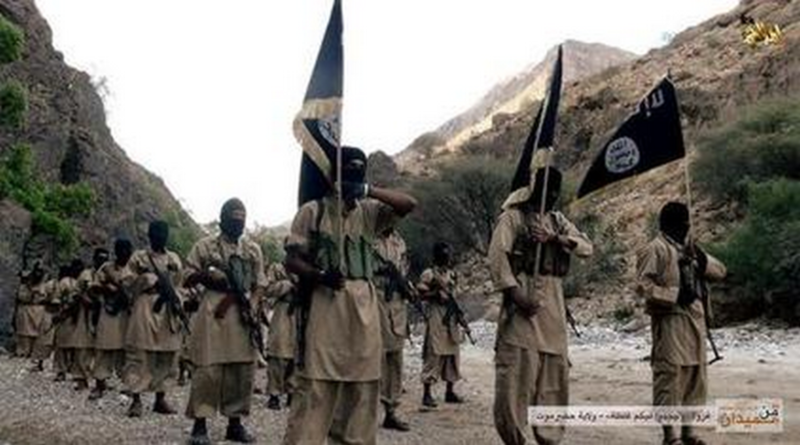 Meanwhile, regular American drone strikes against AQAP angered many Yemenis. In their eyes, not only did the attacks violate Yemen’s sovereignty, they intermittently killed civilians. Hadi’s praise for the drone campaign only discredited him further. AQAP’s power continued to grow, resentment in southern Yemen rose, and criminal gangs and warlords began to operate with impunity in its cities, highlighting the Hadi government’s ineffectuality. Neoliberal economic reforms only further enriched a clutch of families that had long controlled much of Yemen’s wealth, while the economic plight of most Yemenis worsened radically. The unemployment rate was nearly 14 percent in 2017 and exceeded 25 percent for young people, while the poverty rate rose precipitously, as did inflation. It was a formula for disaster and when Hadi proposed a plan to create a federal system for Yemen, the Houthis were infuriated. New boundaries would, among other things, have cut their homeland off from the Red Sea coast. So they gave up on his government and girded for battle. Soon, their forces were advancing southward. In September 2014, they captured the capital, Sana’a, and proclaimed a new national government. The following March, they occupied Aden in southern Yemen and Hadi, whose government had moved there, promptly fled across the border to Riyadh. The first Saudi airstrikes against Sana’a were launched in March 2015 and Yemen’s descent to hell began. The commonplace rendition of the war in Yemen pits a U.S.-backed Saudi coalition against the Houthis, cast as agents of Iran and evidence of its increasing influence in the Middle East. Combating terrorism and countering Iran became the basis for Washington’s support of the Saudi-led war. Predictably, as this cartoonish portrayal of a complicated civil war gained ground in the mainstream American media and among Beltway pundits as well, of course, as in the Pentagon and White House, inconvenient facts were shunted aside. Still, all these years and all those dead later, it’s worth considering some of those facts. There are, for instance, significant differences between the Houthis’ Zaydi variant of Shia Islam and the Twelver Shiism dominant in Iran — and some similarities between Zaydis and Sunnis — which makes the ubiquitous claims about a Iran-Houthi faith-based pact shaky. Moreover, Iran did not jump into the fray during the violent 2004-to-2010 clashes between Saleh and the Houthis and did not have longstanding ties to them either. In addition, contrary to the prevailing view in Washington, Iran is unlikely to be their main source of weaponry and support. Sheer distance and the Saudi coalition’s naval blockade have made it next to impossible for Iran to supply arms to the Houthis in the volume alleged. Besides, having pillaged various military bases during their march toward Aden, the Houthis do not lack for weaponry. Iran’s influence in Yemen has undoubtedly increased since 2015, but reducing the intricacies of that country’s internal crisis to Iranian meddling and a Tehran-led Shiite bloc expanding from Syria to the Arabian Peninsula amounts to, at best, a massive oversimplification. The obsession of Trump and his key advisers with Iran — a remarkable number of them are Iranophobes — and The Donald’s obsession with plugging American arms makers and hawking their wares helps explain their embrace of the House of Saud and continuing support for its never-ending assault on Yemen. Jared Kushner’s bromance with Saudi crown prince Mohammad Bin Salman undoubtedly played a part as well. None of that, however, explains the full-scale American backing for the Saudi-led intervention there in the Obama years. Even as his administration denounced Bashar Al Assad’s slaughter of Syrian civilians, his officials seemed unmoved by the suffering war was inflicting on Yemenis. In fact, the Obama administration offered $115 billion worth of weaponry to Riyadh, including a $1.15 billion package finalized in August 2016, when the scale of Yemen’s catastrophe was already all too obvious. In recent years, opposition to the war in Congress has been on the rise, with Sen. Bernie Sanders and Rep. Ro Khanna playing prominent roles in mobilizing it. But such congressional critics had no effect on Obama’s war policy and are unlikely to sway Trump’s. They face formidable barriers. The mainstream narrative on the war remains powerful, while the Gulf monarchies continue to buy vast quantities of American weaponry. And don’t forget the impressive, money-is-no-object Saudi-Emirati lobbying operation in Washington. That, then, is the context for the Pentagon’s gentle warning about the limits of U.S. support for the bombing campaign in Yemen and Secretary of State Mike Pompeo’s subsequent certification, as required by Congress, that the Saudis and Emiratis were taking perfectly credible action to lower civilian casualties — without which the U.S. military could not continue refueling their planes. Mattis “endorsed and fully supported” Pompeo’s statement. As the fifth anniversary of this appalling war approaches, American-made arms and logistical aid remain essential to it. Consider Trump’s much-ballyhooed arms sales to the Saudis, even if they don’t total $100 billion as he claimed. Why then would the Saudi and Emirati monarchs worry that the White House might actually do something like cutting off those lucrative sales or terminating the back-end support for their bombing campaign? One thing is obvious: U.S. policy in Yemen won’t achieve its declared goals of defeating terrorism and rolling back Iran. After all, its drone strikes began there in 2002 under George W. Bush. Under Obama, as in Pakistan and in Afghanistan, drones became Washington’s anti-terrorist weapon of choice. There were 154 drone strikes in Yemen during the Obama years according to the most reliable high-end estimates, and civilian casualties ranged between 83 and 101. Under Trump they soared quickly, from 21 in 2016 to 131 in 2017. The reliance on drone attacks has bolstered Al Qaeda’s narrative that the American war on terror amounts to a war on Muslims, whose lives are deemed expendable. And so many years later, in the chaos of Yemen, the group’s power and reach is only growing. The U.S.-backed, Saudi-led intervention is also likely to prove not just self-defeating but self-prophetic. It seems to be cementing an alliance between Iran and the Houthis who, though they have been pushed out of Aden, still control a big chunk of Yemen. Meanwhile, in a move that could make the war even deadlier, the Emiratis appear to be striking out on their own, supporting secession in southern Yemen. There’s not much to show on the anti-terrorism front either. Indeed, the Saudi coalition’s airstrikes and U.S. drone attacks may be moving Yemenis, enraged by the destruction of their homes and livelihoods and the deaths of loved ones, toward AQAP. In short, a war on terror has turned into a war of and for terror. In Yemen, the United States backs a grim military intervention for which — unless you are a weapons company — it is hard to find any justification, practical or moral. Unfortunately, it is even harder to imagine Trump or the Pentagon reaching such a conclusion and changing course.